1. 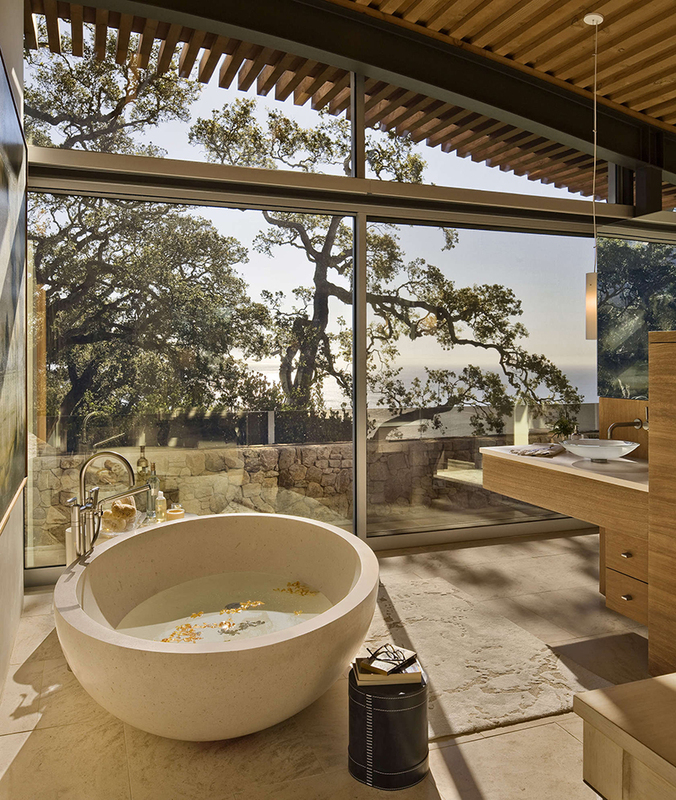 This bathroom is in a home in Big Sur, California, designed by Carver + Schicketanz. 2. This bathroom is in an apartment in Barcelona, Spain, designed by YLAB Architects. 3. 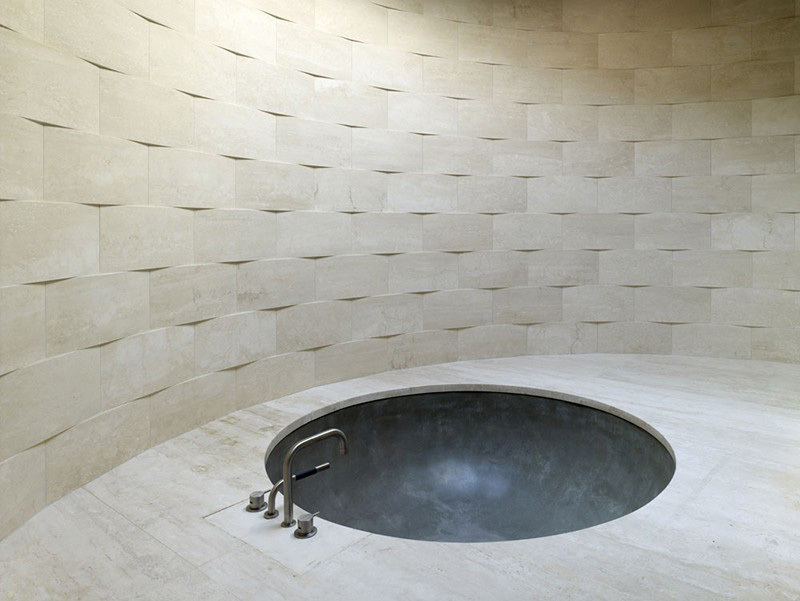 This bathroom is in a home in Piedmont, California, designed by Ogrydziak Prillinger Architects. 4. 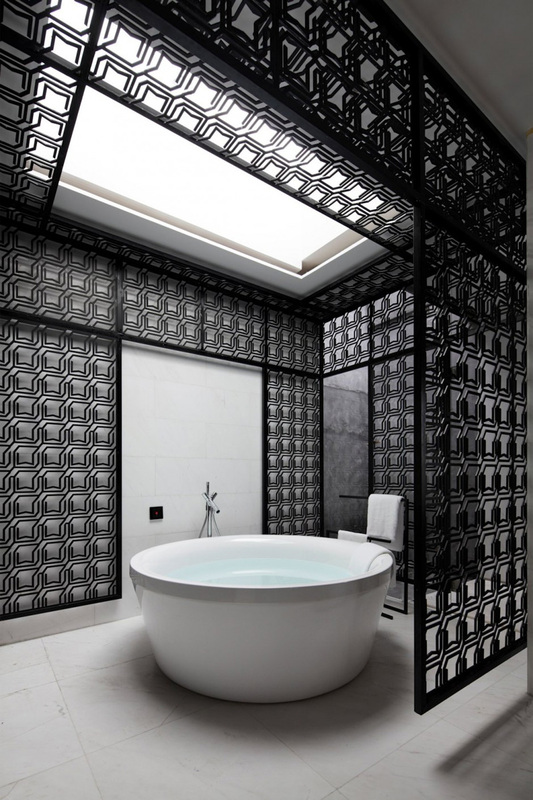 This bathroom is in a hotel room in Xiamen, China, designed by Team BLDG. 5. 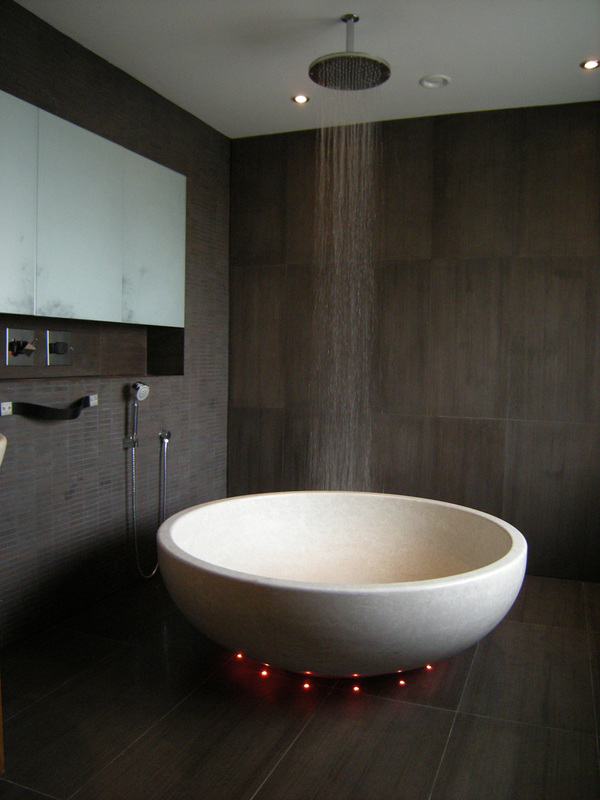 This bathroom is in a home in Rathfarnham, Ireland, designed by DMVF Architects. 6. 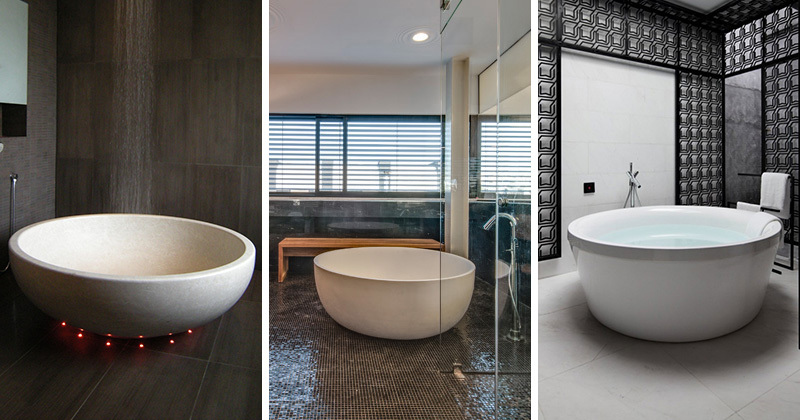 This bathroom is in a home in Tel Aviv, Israel, designed by Dan and Hila Israelevitz Architects. 7. 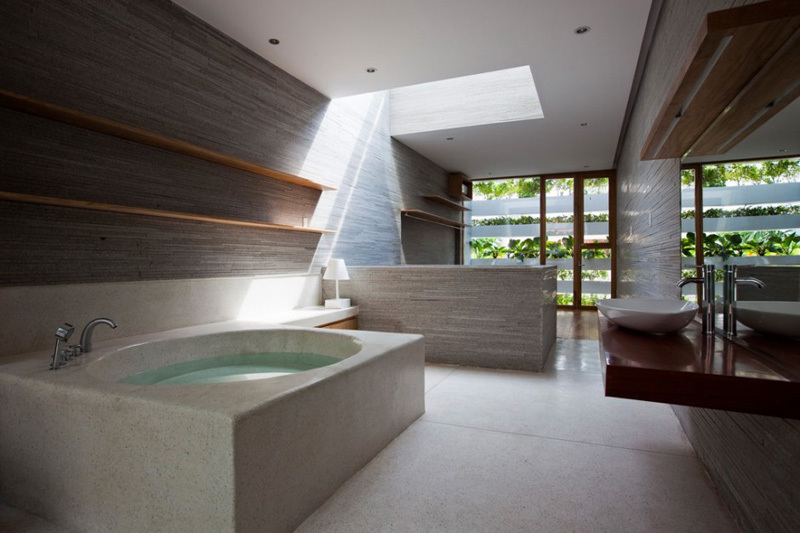 This bathroom is in a home in Ho Chi Minh City, Vietnam, designed by Vo Trong Nghia Architects. 8. 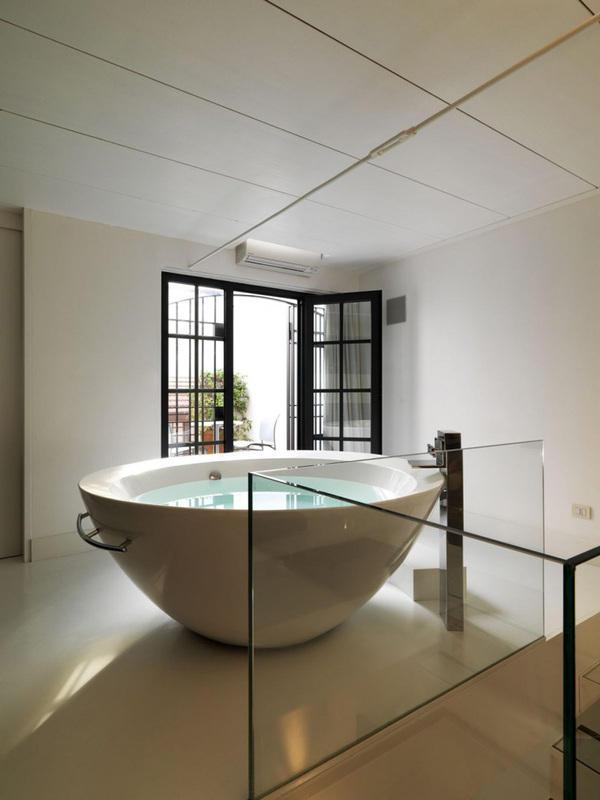 This bathroom is in a loft in Milan, Italy, designed by Federico Delrosso. 9. 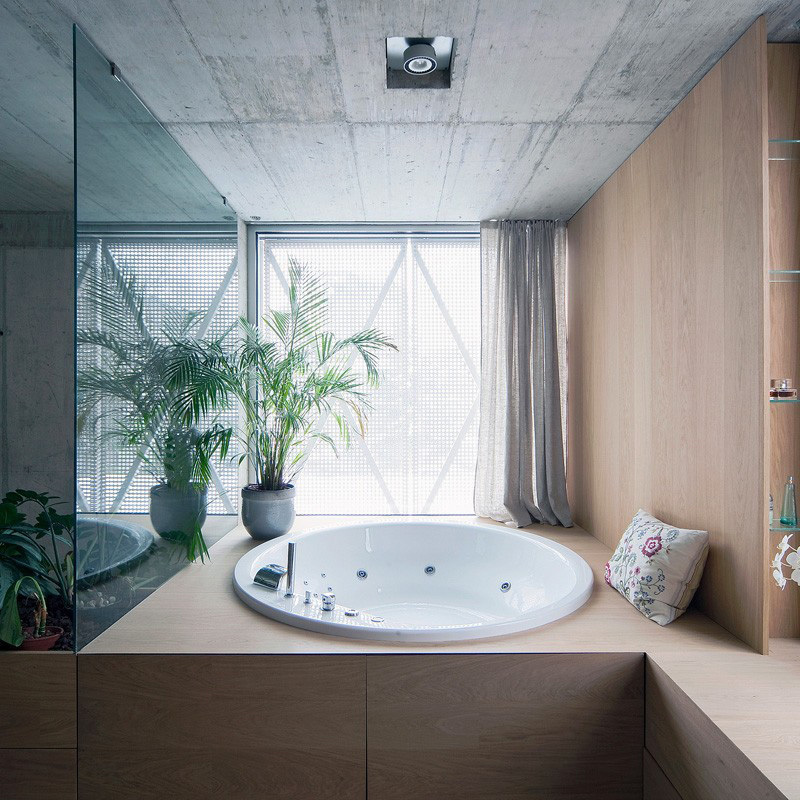 This bathroom is in a villa in Ljubljana, Slovenia, designed by OFIS Architects.